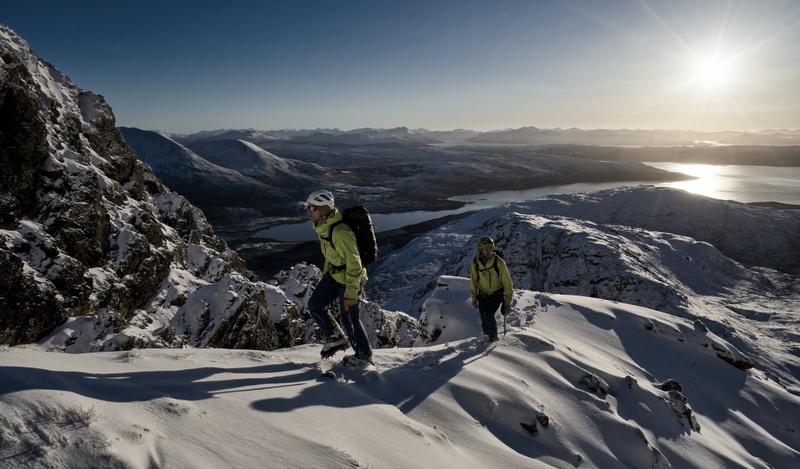 During a stellar week in early February, Jöttnar Pro Team members Tim Howell and Mike Pescod roped up together. They cut a swathe through the Scottish Highlands, climbing and jumping, each introducing the other to their respective disciplines. 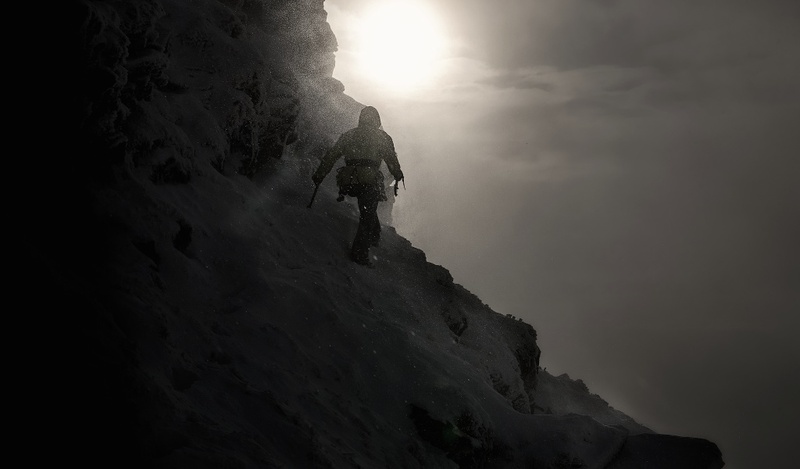 Mike is an IFMGA mountain guide and accomplished winter climber. Staying attached to the mountain governs most decisions he makes. Tim on the other hand, as a BASE jumper, sees things differently. But the skill-sharing between both opened up a new world of possibilities as they moved out of their respective comfort zones. 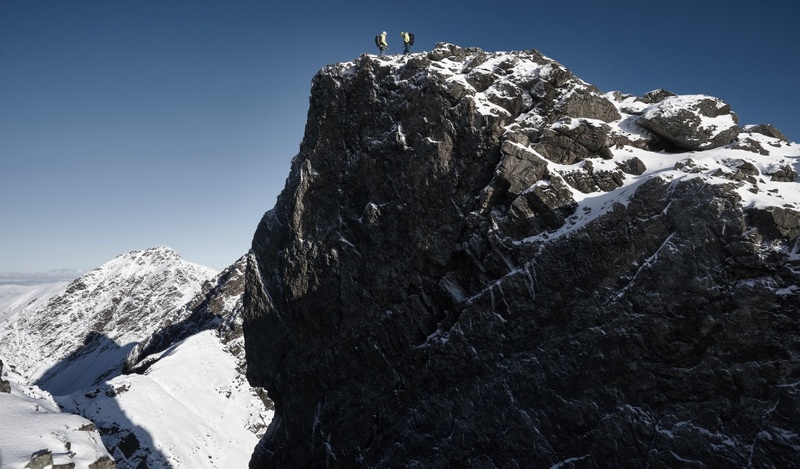 By the end of the week, the pair had climbed some plumb winter lines with Tim opening up a series of never-before-jumped exits on The Cobbler, Ben Nevis, Glen Nevis and the Isle of Skye. When the BBC broke news of the jumps last month, it was picked up and carried around the world. Watch the film, shot and produced by Brodie Hood, and then scroll below for a look behind the scenes. 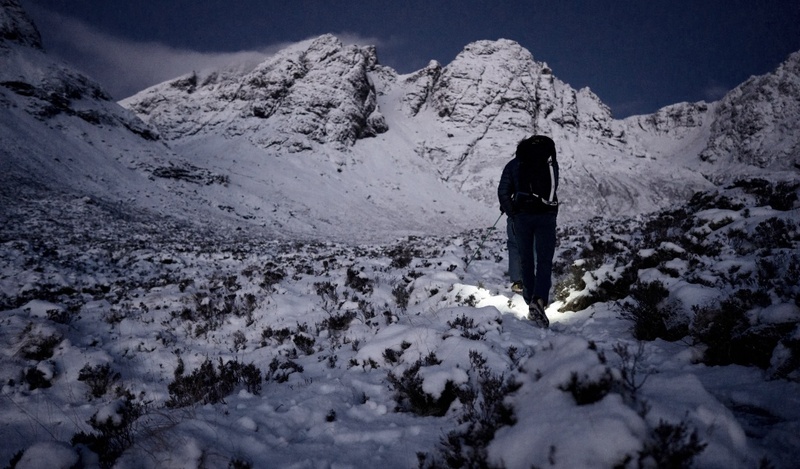 Dawn breaking on the approach to Blà Beinn, Isle of Skye. Photo by Hamish Frost. Blue sky, sunshine and virgin snow. Photo by Hamish Frost. The rugged landscape of Skye unfolds below. Photo by Hamish Frost. On top of The Great Prow, Blà Beinn - Tim's proposed new exit point. Photo by Hamish Frost. Using a small rock to check trajectory and heading. Photo by Hamish Frost. 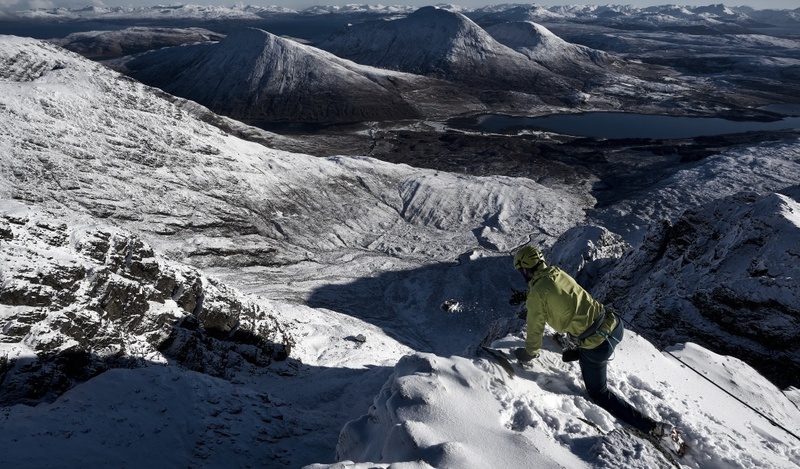 Tim launches from The Great Prow, Blà Bheinn. Photo by Hamish Frost. Mike gearing up - Beinn Dorain, Bridge of Orchy. Photo by Hamish Frost. Tim fixing crampons - Beinn Dorain. Photo by Hamish Frost. Mike silhouetted by the sun. Photo by Hamish Frost. Mike on the final pitch of 'The Promised Land', Beinn Dorain. Belayed by Tim. Photo by Hamish Frost. 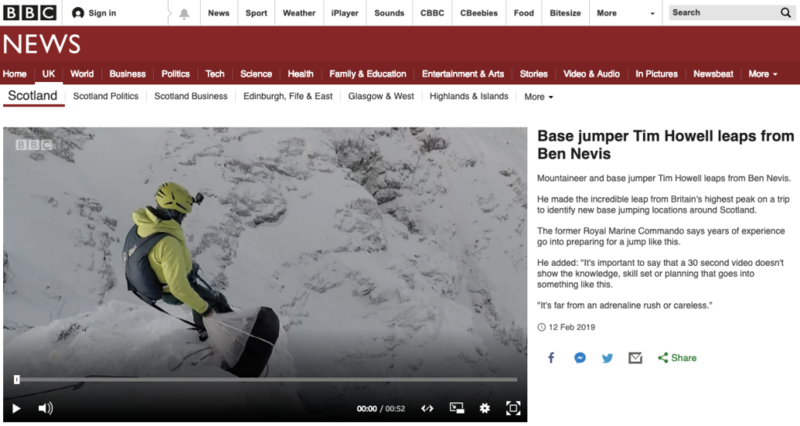 'Base jumper Tim Howell leaps from Ben Nevis' - as reported by the BBC. 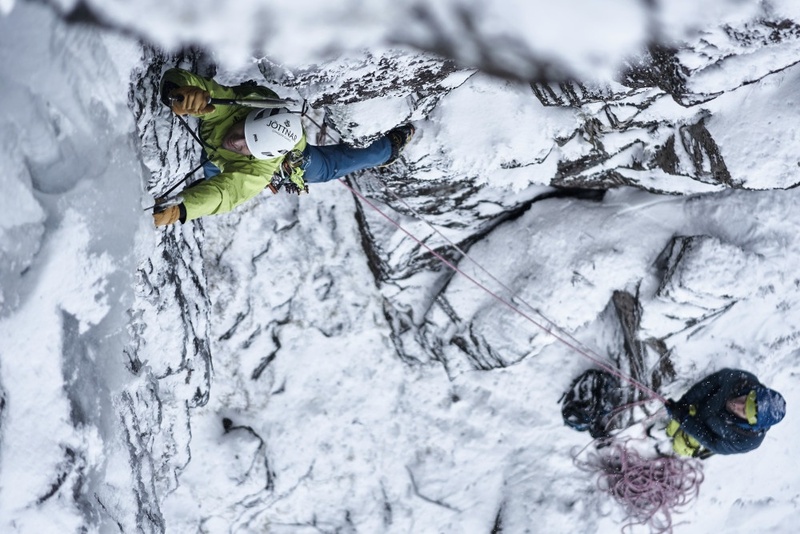 Mike Pescod is an IFMGA guide and a member of the Jöttnar Pro Team. 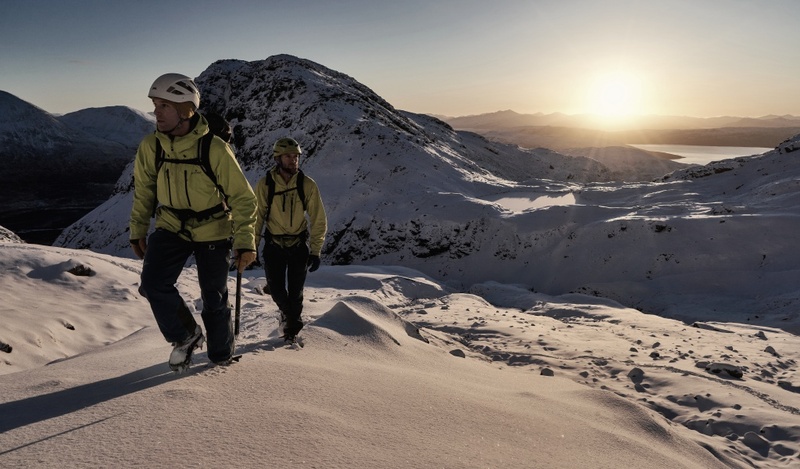 He is the founder of Abacus Mountain Guides, an outdoor guiding company based in Fort William, as well as being the author of the guidebook Winter Climbs Ben Nevis and Glen Coe. 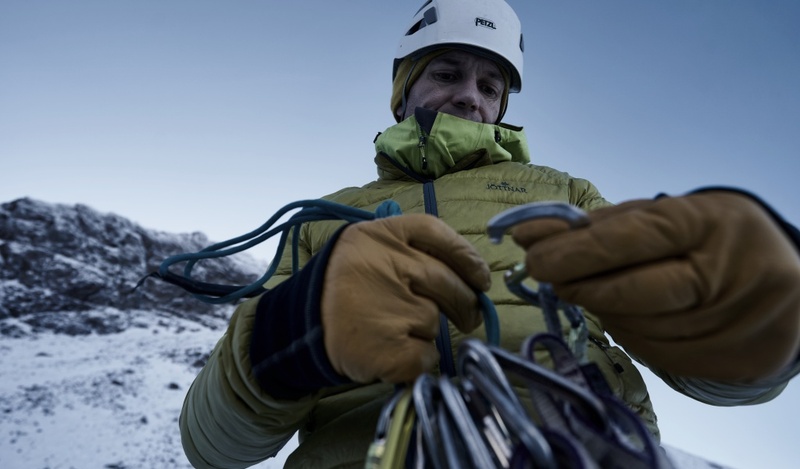 Tim Howell is a member of the Jöttnar Pro Team. 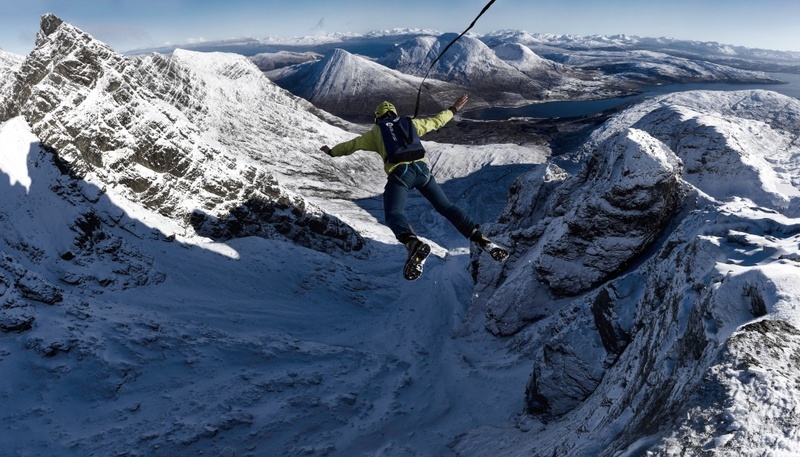 His specialism is technical alpinism, usually followed by a BASE jump descent. Read more about Tim here. 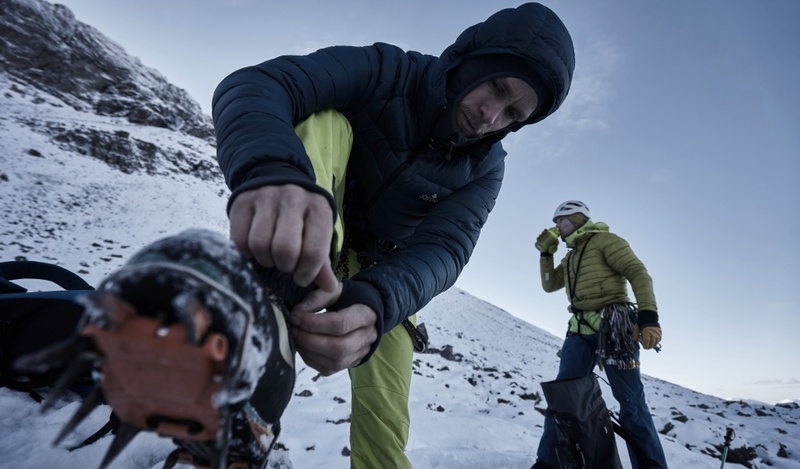 Gear worn in film and photos: Asmund and Hymir hard shell jackets, Fenrir down jacket, Vanir LT pants.